What is it? It's a simple idea designed to encourage people to keep their basic personal and medical details on a standard form and in a common location - the Fridge. What does it do? 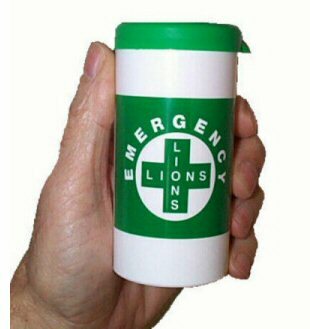 It saves the Emergency Services valuable time in helping you & identifying if you have special medication or allergies. It is not only a potential lifesaver, but also it provides peace of mind to you, your friends and family by knowing that prompt medical treatment is provided and that the next of kin and emergency contacts are notified. Who’s it for? Anyone. Whilst it is focused on the more vulnerable people in a community, anyone can fall downstairs or have an accident at home, so this scheme can benefit anyone. What does it cost? Nothing – it’s FREE. (All costs are paid for by the local Lions, who have received generous donations from the public and businesses. Where can I get one? Your GP’s surgery, or local post office. The Clerk to the Parish Council also has some. Who knows about it? All Emergency Services are aware of the Message in a Bottle scheme, and will locate the bottle and pass it on to a doctor or hospital personnel in an emergency. What’s in the bottle? A form you fill in with your name, medicines, allergies & relatives contact details. Two stickers. What do I have to do? Fill in the form, put it in the bottle. Put the bottle in your fridge. Put one green sticker on your fridge door and the other green sticker on the INSIDE of your house door. Who co-ordinates the Scheme locally? The Lions. 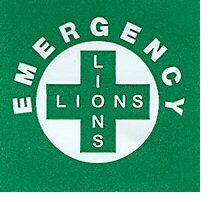 While not solely a Lions initiative, it is something many Lions Clubs across the country have taken to and recognise as a means of fulfilling their motto “We Serve”, often funding the scheme from their own charity accounts.